Sandwatch in Madagascar will be coordinated by the Malagasy Ministry of National Education with the help of the UNESCO National Commission for Madagascar and schools throughout the country will be involved. Sandwatch strategy for the Indian Ocean islands was initiated in 2006-2007. However, only a few countries including Seychelles and Mauritius have participated actively in the programme so far. 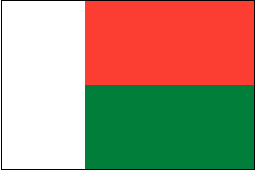 Madagascar has never participated in any sandwatch activities. The workshop is being planned at an appropriate moment. The Malagasy Ministry of National Education is currently reviewing and updating its education curriculum. The workshop will provide a good opportunity to enhance the knowledge of education planners on original and innovative ideas that can be considered to be integrated in the new curriculum. The overall objective of the workshop is to enhance the knowledge of educators and planners of relevant Ministries/Institutions on the impacts of climate change on coastal resources and on how to use the approach and apply the methodology of sandwatch for appropriate actions to contribute to mitigate and adapt to climate change. Introduce the MAST (Measure, Analyse, Share and Take action) approach in the context of climate change. Conduct fields exercises to collect data on shoreline and beach changes. Promote the use of the UNESCO International Database to enter data, visualise and analyse it and assess impacts of climate change on the beach for appropriate actions. To achieve the above objectives, an inclusive, participatory and interactive approach will be adopted. Participants will be motivated to participate actively in the training, share knowledge about local context, discuss problems encountered in their regions and propose solutions. Course lectures and outdoor exercises will mostly be based on the sandwatch manual. Advantage will be taken of personal experience and knowledge to improve the methodology. You tubes, video clips and other visual medium on relevant topics will be shown to consolidate knowledge. Much emphasis will be laid on the UNESCO sandwatch International Database and its use. Hands on training on the beach will be an integrated part of the programme. About 40 participants representing the Ministry of National Education from each region of Madagascar and other relevant Ministries are expected. They will be mainly educators and planners who eventually will be involved to promote sandwatch. A few participants from Comoros are also attending. The workshop will be conducted by a sandwatch expert, Mr. Sachooda Ragoonaden, from Mauritius. He will assisted by a facilitator and a representative from the National Commission of UNESCO. The workshop will take place from 15 to 19 October 2018 in a hotel conference room at Majunga (Boeny Region). Field exercise will be conducted in a nearby beach.